Last year’s Jazz Festival. Always a good idea to bring your own chairs. What a weekend! We have a Jazz Festival, a Blues Festival, and a Honky Tonk Festival in town. The Deep Blues Festival at the Bayport BBQ is sold out, so you’ll have to find someone willing to sell his or her ticket. Good luck with that. This year’s Twin Cities Jazz Festival (which really should be called the Saint Paul Jazz Festival) involves hundreds of performers and dozens of venues. It’s impossible to list every act, so go to http://www.hotsummerjazz.com to see the schedule. It’s an adventurous one, with jazz of many stripes, including some free improvisation at Studio Z, MacNally Smith ensembles at the Minnesota Music Cafe, and jam sessions at the Amsterdam and Artists Quarter. Artist descriptions can be found in the festival program, which should be easily available at all venues. If jazz isn’t your thing, you may enjoy Saturday’s Honky Tonk Festival, which I’ve listed below. Graydon Peterson Quartet @ The Artists’ Quarter, Saint Paul. 9pm ($5) Graydon on bass, Adam Meckler on trumpet, Vinnie Rose on guitar, and Adam Suarez on drums. Graydon’s originals in odd time signatures, and other tunes to be sure. Steve Hobart, Jeremy Boettcher, and Jay Epstein @ the Nomad, Minneapolis. 10pm (no cover) Boettcher, bass; and Hobart, piano; are young players who grew up in the area, left for school and musical opportunities, and have recently returned. They are proving to be versatile musicians, and tonight they are teaming up with the veteran, and highly tasteful drummer Jay Epstein. 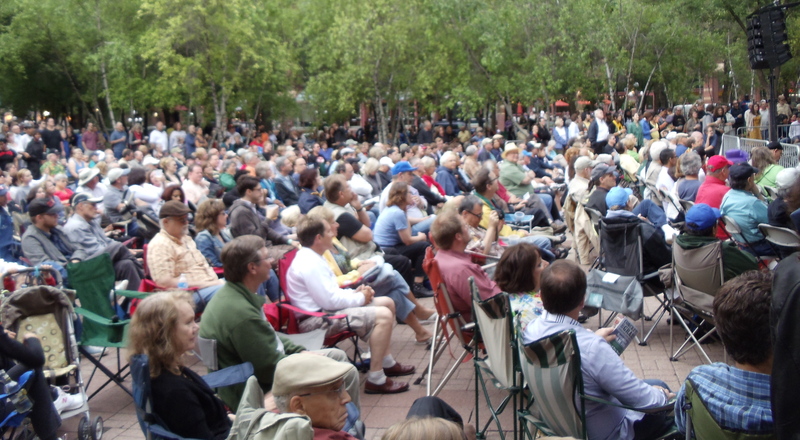 Twin Cities Jazz Festival: Pippi Ardennia @ Mears Park and others in venues around Saint Paul – Free! : http://www.hotsummerjazz.com The Amsterdam has a particularly strong line-up tonight starting at 5pm wit Ticket to Brazil, and continuing with the piano trios of Chris Lomheim at 6:30 and Mary Louise Knutson at 8pm, followed by vocalists Joyce Lyons, Nichola Miller, and a jam led by the Jazz Central all-stars. Jack Brass Band @ The Central Library, Saint Paul. 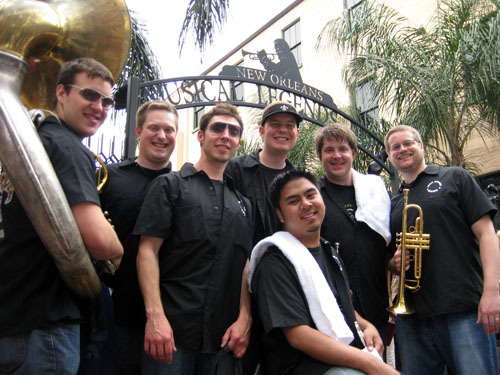 11:30AM (Free) Grab lunch from one of the food trucks that gather round Rice Park and enjoy the uplifting, always fun music of JBB. Sophia Shorai @ The Dakota, Minneapolis. 7pm (no cover) With her sweet, sometimes aching voice, the brightly smiling Ms Shorai will be backed by Tommy Barbarella, piano, Jeff Bailey, bass, and Adam Suarez, drums. It’s Foodie Night, and the policy is now no cover and a $10 bottle of wine! Twin Cities Jazz Festival: Delfeayo Marsalis @ Mears Park, and more: http://www.hotsummerjazz.com If you want to avoid the crowds at Mears Park, check out the Hat Trick Lounge, with four strong groups, including Dean Magraw’s Red Planet. Patty Peterson @ The Dakota, Minneapolis. 8pm ($12) Ms Peterson always has a stellar group of players with her, equally adept at jazz and R&B. Tonight she’ll also be joined by saxophonist Steve Cole, who records for Universal and has played with Boz Scaggs, Larry Carlton, and Brian Culbertson, among others. Optimum Trajectory Jazz Quintet @ Harriet Brewing Tap Room, 3036 Minnehaha, Minneapolis. 3pm – 5pm (no cover) Here’s a pleasant way to wile away an afternoon. Check out the brews at the Tap Room, where you can hang outside if the weather’s nice and enjoy the sounds of Ira Adelman, sax; Steve Hillson, trumpet; Margo Vreivik, bass; Garth Anderson, drums; and Tim McNamara, guitar. There may even be a food truck present. Lulu’s Playground @ The Red Stag, Minneapolis. 10:30pm (no cover) Interesting textures and timbres from Evan Montgomery, guitar; Adam Meckler, trumpet; Steve Hobart, accordion; and Cory Grossman, cello. Dos Dinos @ The Amsterdam, Saint Paul. 11am (no cover) Dean Harrington and Dean Mikkelson, Two of the area’s most underrated guitar players, team up during the Amsterdam’s brunch hours, which features a Hash Menu and special Bloody Mary. Expect swinging standards and gypsy jazz, as Dos Dinos trade off licks and rhythm. 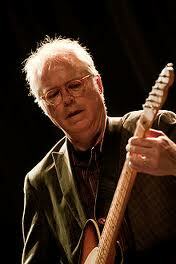 Bill Frisell: the Music of John Lennon @ The Dakota, Minneapolis. 7pm ($40 – $45) Perhaps the most exquisite guitarist on the planet, Frisell, whose spare, atmospheric playing has been applied to numerous genres, gives us his unique take on Lennon. Clay Pufhal @ Jazz Central, Minneapolis. 8:30pm (donation) Jazz Central is the place to see some of the best musicians in the area playing outside of their normal groups. A regular member and composer for the X-Tet, tenor sax player Pufhal plays around town with a variety of groups. Firebell @ Red Stag, Minneapolis. 9pm. (no cover) Park Evans, guitar; Graydon Peterson, bass (his name is popping up alot lately); and Jay Epstein on drums. Mother Banjo @ Landmark Center, Saint Paul. Noon – 1pm. (Free) Bring a lunch, or get one at Anita’s Cafe in the Landmark, and sit down to hear a little alt country, alt banjo, and alt gospel from Mother Banjo, aka Ellen Stanley (of Red House Records and KFAI’s Womenfolk show) who’s been making fans around the nation with her picking, composing, and singing. Crankshaft & the Gear Grinders @ Harriet Brewing Tap Room, 3036 Minnehaha, Minneapolis. 7pm. (No cover) Down, dirty, and raw blues, played in an intimate spot. You’ll have to go around back. Mystic Order of Reverb & Twang @ Lake Harriet Bandshell, Minneapolis. 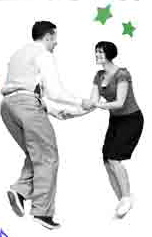 7:30pm (free) Rockabilly, Surf, 50s & 60s rock n’ roll, and even some classic country will be reverberating the bandshell. Bring a picnic, buy an ice cream cone from the bandshell’s kitchen, and enjoy a summer’s evening by the lake. Ron Thompson with the Butanes @ Famous Dave’s, Minneapolis. 9pm. ($8) Back in the day, Ron Thompson would play high energy blues for hours without a break. For this show, he’ll be backed by the Butanes, who may be the only band in town that can keep up with him. Motown Throwdown with Big Villain and Toussaint Morrison @ Hell’s Kitchen, Minneapolis. 10pm. ($5) 18+ show. Toussaint will be singing songs from The Temptations, Marvin Gaye, Stevie Wonder, and others of that era. Reid Kennedy, better known as a jazz drummer about town, has put together a live hip hop band to do the backing. Sounds like fun. Dichotomy also appears. Honky Tonk Fest @ Grumpys Northeast, Minneapolis. 2pm – 9pm This is a benefit, with all proceeds going to the Minnesota Chapter of the Leukemia & Lymphoma Society. Featuring a bevy of talent, including: Trailer Trash, Lazy Ike & the Daredevils, Jennifer Marky & the Tennesee Snowpants, Cactus Blossoms, The Ditchlilies, Sister Shaw. Photo Booth, pulled pork sammies and more. Saturday Sock Hop w/Steve Clarke & The Working Stiffs, with The Bad Companions @ Lee’s Liquor Lounge, Minneapolis. 9:30pm ($7). This Saturday Sock Hop is presented by Freewheelin’s Jackson Buck and features Dance Instructor Extraordinaire, Miss Shannon. You can catch her free dance instructions weekly at Lee’s, Famous Dave’s and other venues around town, generally an hour before the music starts. Same thing tonight, with a little extra. Dance lessons start at 8:30, and a special Rock-A-Billy Stroll Dance lesson will occur about 10:15, after the Bad Companions open. This entry was posted on Wednesday, June 27th, 2012 at 2:33 am and is filed under Weekly Preview. You can follow any responses to this entry through the RSS 2.0 feed. You can leave a response, or trackback from your own site.